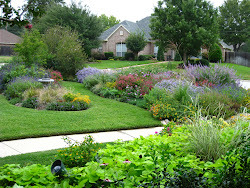 Signature Gardens: Is it Dead or is it Dormant? Is it Dead or is it Dormant? 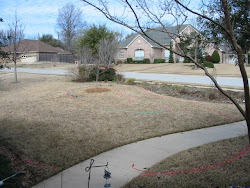 Last week we had our first hard freeze in the Dallas/Fort Worth area. The freezing temps render our once lush, colorful gardens to either brown, crispy sticks or piles of mush. For those new to gardening you might be thinking your treasured plants are dead. But are they? Let me run through a list of common plants in our area and help you discover...is it dead or is it dormant? And if it's the latter, see instructions below on how to handle your plants to help them return to their pre-freeze glory next spring. 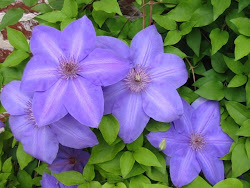 Plants that are only hardy to Zone 10 and above are considered annual plants/flowers in our Zone 7b/8a area. 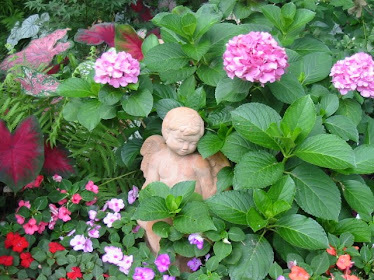 Annual summer flowers, such as Pentas, Periwinkles, Zinnias, Coleus, Caladiums, and Sweet Potato Vine will not survive freezes. They can be removed now and replaced with cool season annuals like pansies and kale. If you have a Zone 8b/9 plant, it is considered marginally hardy, and may or may not have been killed by the freeze. For instance, some websites classify Esperanza Tecoma stans (Yellow Bells) as a Zone 9 plant. Planted in the ground in a protected spot with a covering of mulch, it may well survive the freeze. If planted in a container, plants lose one zone of protection from freezes, so it may not survive a freeze. Mexican Milkweed Asclepias curassavica is another one of those marginally hardy plants. It may come back from the root, or it may not. It will usually reseed in our area, though, if it does not come back from the root. Look at your plant tag (or Google) to determine a particular plant's hardiness zone, and if it's a marginally hardy plant that has been damaged by the freeze, try cutting it back and then waiting for spring to see if it is going to return from the root. Dwarf Mexican Petunia (Katie's Ruellia) - after a freeze, on a dry day, just stomp on them and break the stems off at the ground and remove browned foliage. Salvia Greggii – Give it a slight haircut now to tidy up if desired, but save heavy pruning for February. In mid-February cut it down to about 6 inches tall and wide. Aster oblongifolius (Fall Aster) – You can cut it to the ground now; or leave for now for winter texture and interest - then cut to ground in February. Ornamental grasses - After a hard freeze, the grasses will turn tan, but wait to prune in February. Roses - Prune in February. Be sure to REMOVE completely if infected with Rose Rosette Disease. 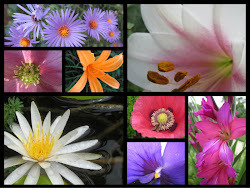 Blackfoot Daisy, Calylophus, Pink Skullcap, Dianthus, 4-nerve Daisy, Creeping Phlox - Evergreen. If no damage, no need to prune. Lamb's Ear: Overall should not be damaged by freeze, but cut or pull away any browned leaves. 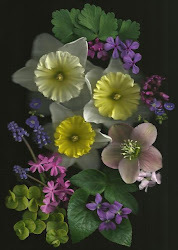 Columbine - They will be evergreen through the winter and will bloom in the spring. Liriope - Evergreen, but again benefits from late winter pruning for fresh new growth. Wait until February to cut them to the ground. Evergreen Herbs (Thyme, Oregano, Winter Savory, Salad Burnet) - Should not be damaged by the freeze. Trim back in the fall, if desired, to produce new growth. Ferns - Holly Ferns and Autumn Ferns are evergreen and usually don't sustain much damage, so no need to prune. If damaged, prune any browned foliage to the ground in February. Wood Ferns and Japanese Painted Ferns will go dormant and turn brown after a freeze. Cut them to the ground and mulch. Hydrangeas - Do NOT prune. Frozen leaves will fall off leaving only sticks. Again, do not prune. 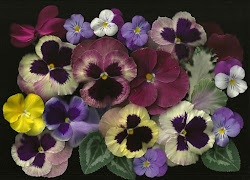 If necessary, the only time to prune is immediately after they finish blooming. Pruning now or in the spring will sacrifice next year's bloom. Some shrubs, like Aucubas, will simply wilt with freezing temps, but as soon as the temperatures are above freezing, they will rebound as if nothing happened. So no need for action; just patience. I hope this helps to relieve some concern about your plants after the freeze. If you have a question about a plant that I have not listed, please let me know and I'll update the post. Happy winter...stay warm and rest up to get ready for spring gardening! Stay tuned for the Late Winter/Spring "Diggin' in the Dirt" Newsletter with more tips for spring. Thanks, Toni. Your advice is always timely. Thanks so much. I have been advised that it is ok to trim to the ground some of the hydrangeas that bloom on new growth like Endless Summer. I have received mixed information on this and will try it out on my plants and see how they do. A very informative post. It would be wonderful to have Lantanas, Cannas, and Elephant Ears survive the winter. We have to bring ours indoors if we want them to survive. Great post, Toni! I am amazed at how much cold weather you have in Texas. Stay warm! Yes, Karen, it's chilly this week, but no comparison to your neck of the woods! Most likely the Giant Leopard Plant is DORMANT, not dead. Just cut the limp, brown foliage to the ground and new growth should come out this spring. If it was just planted this fall, it may not have had time to fully root in and establish before the freeze, so it could be dead. If so, replant this spring and it should be able to handle freezes next winter because it will be more established. Should vitex be shaped into a tree now or get any kind of pruning?